On Tuesday morning I prayed, “God, make me light in dark places. Make me a vessel of hope. Help me understand what love is”. Turns out, God doesn’t waste an opportunity like that. Perhaps that is his very favourite prayer. This weekend was strange. On Saturday, Joel spent the morning as a pall bearer at a funeral. In the evening, I spoke at candle light vigil I organized for a student of mine that died this week. We were deep in the hearts of broken people. People praying freedom prayers, people grieving, people standing up to injustice, people watching sadness and joy kiss. 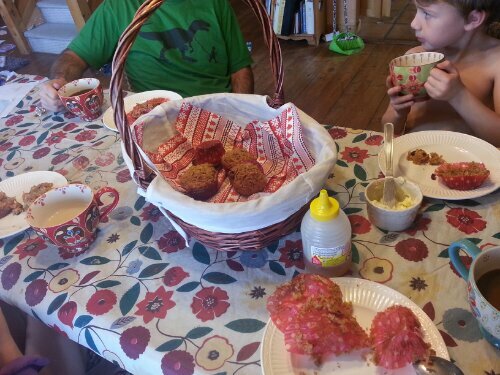 Saturday afternoon, our family went sledding, had a tea party with fresh muffins and took our Christmas card photos. Life is such a striking contrast sometimes, the mundane and ordinary going in and out, mixed up with all the soul stretching horror that sometimes defines life on earth. I wanted to wrap my kids in bubble wrap, hide them away from all of it, cozy down in our cabin in the woods. I am never so tempted to give into fear as when I stare darkness in the eye, when my life stands in opposition. I wrote this letter to myself in my journal, it is a declaration of hope. I am sharing it, because every conversation I have is leading me back here, the choice of hope over fear. Maybe it is for you too? You have me wondering. You who is afraid of this world. Your insecurity, don’t you see it? The way it looks like a lack of faith. Don’t you believe the faith you profess? Do you not believe He that is in you is greater? Don’t you see that protecting your kids automatically alienates the others? Don’t you see the way exclusivity and protection is the opposite of a Christ-Chasing life? Don’t you see how your feigned righteousness makes everyone run from you? Don’t you see how life shrinks? How your fear grows? I’m not saying close your eyes, I’m saying see the dark, look it in the eyes and be hopeful anyways. My God is not afraid of the dark. Or the day. Or the Grave. My God is big enough to redeem every evil this world can throw. There is no intellectual who could trip you. No freedom song sweeter then the one you sing. No thing that you are missing. No knowledge you need to fear that will strip your children of their faith. No sin that cannot be redeemed. No person that we cannot love. No condemnation for you in Christ. No ideology that cannot be moved. No kingdom that cannot be upended by the counter cultural ways of Christ. There, is no power greater than the Spirit living in me. No wound He cannot heal. Nothing that could separate us from the love of Christ. There is NO guilt in this life and there is NO fear in even death. I am not saying close your eyes. I am saying OPEN THEM WIDE and choose HOPE anyways. The whole of humanity begging for the light you have? The hope you should possess? The LIFE you should be LIVING…. You are the light of the world. The salt that keeps away decay. How can you hold back the dark, the death, if you are hiding in your ivory tower? We claim hope. Despite all else. We claim it and we walk in it. Let us be known as a people of HOPE. This entry was posted in FAITH, FAMILY and tagged - by melissafed. Bookmark the permalink. I’m your neighbor at Jennifer’s place today…what lovely truth you have written here. 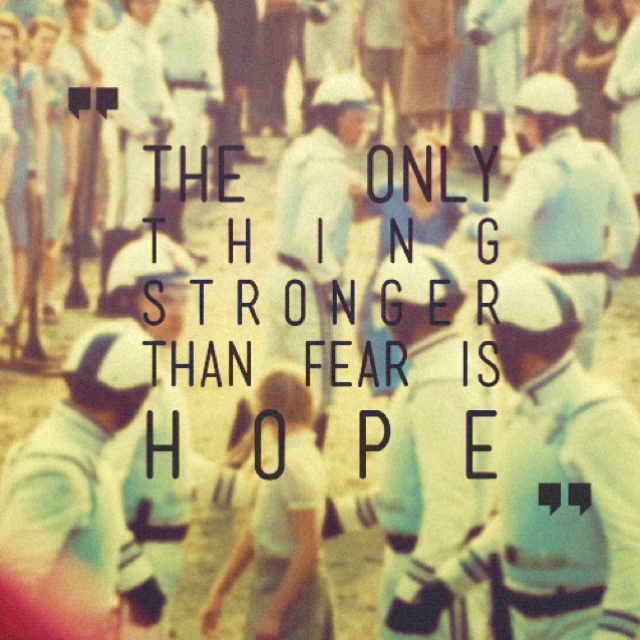 “The only thing stronger than fear is hope.” Hope in him trumphs everything! Love this! LAURA! Thanks so much for this! Cool that you took the time to read. Would love to catch up next time you are in town! “Life is such a striking contrast sometimes, the mundane and ordinary going in and out, mixed up with all the soul stretching horror that sometimes defines life on earth.” So true. So grateful for that hope we cling to. It will not fail! Love that Nancy! Thanks for reading! oh girl, YES. Preach it!!! I need to read this EVERY SINGLE DAY. 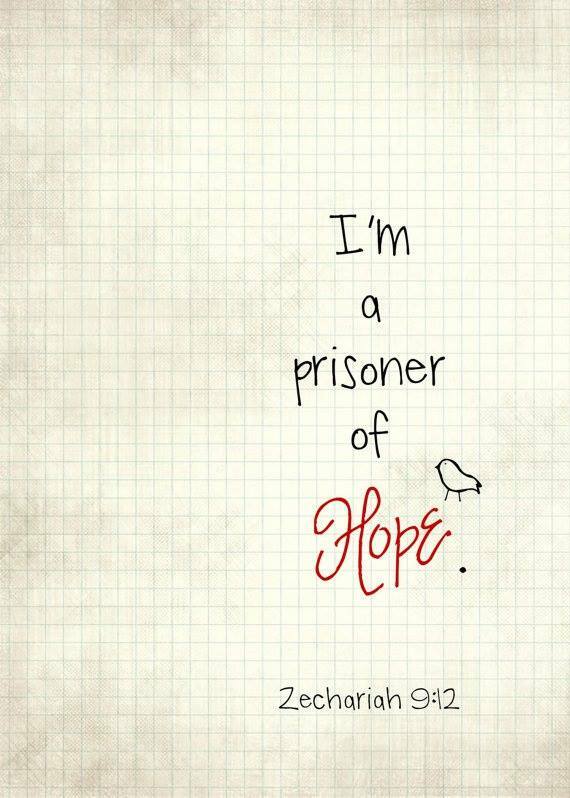 We are prisoners to hope. Amen.